For over two centuries the name of DOW has been associated with the finest Port from the vineyards of the Upper Douro Valley. Throughout the 20th Century and into the 21st, the Symington family has built on the legacy of the preceding Silva and Dow families. Generations of Symington winemakers have worked at the Dow's vineyards: Quinta do Bomfim and Quinta da Senhora da Ribeira, creating from them Dow's superbly concentrated wines that are intense and tannic when young, maturing towards a superlative racy elegance with age and scented with violet and mint aromas. 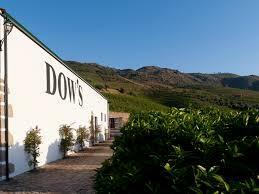 Dow's attractive and distinctive drier finish is the recognizable hallmark of the wines from this great Port house. Produced by the Symington Family from grapes grown in vineyards that traditionally supply the House of Dow, the wine has juicy dark fruits, grippy tannins, and good acidity. Ready for drink now, but it will continue to improve further in the bottle. Wine Spectator 94"Big and as hard as nails. Loads of raspberry and fruit aromas, with a green stem edge. Full-bodied and sweet, with an iron backbone of acidity. Long finish. Still needs time.Dow vertical. Best from 2002 through 2012."